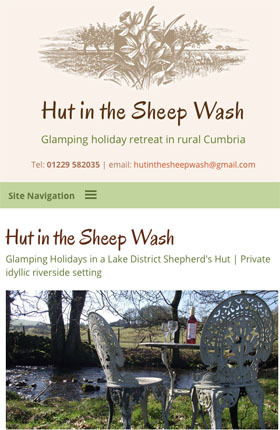 New website design for local shepherds hut holiday accommodation near Coniston. Holiday property owner near Coniston in the Lake District. This is a local farm with its own land and a lovely beckside spot for the siting of their traditional shepherd's hut. The hut has cosy accommodation that's perfect for couples looking for a romantic break. 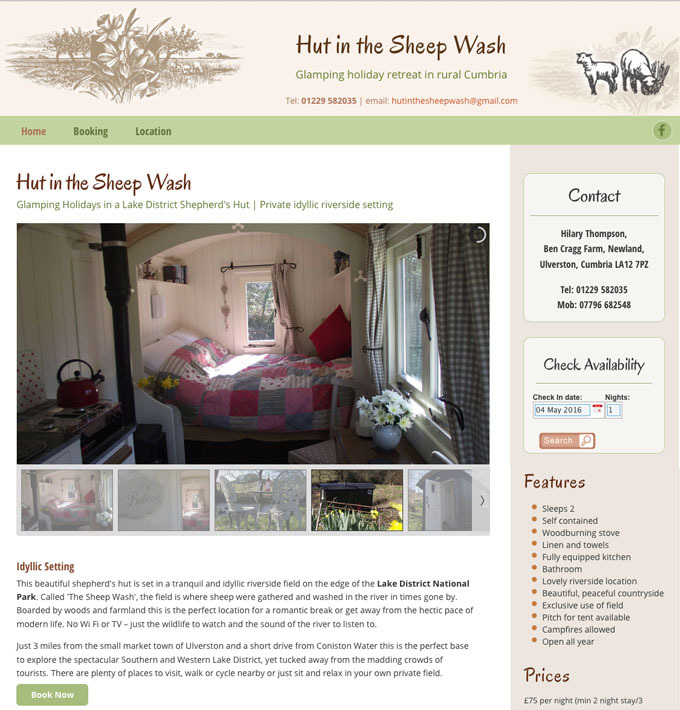 A simple basic website was required to advertise the shepherd's hut accommodation. We integrated the website with the Freetobook booking system.